There is a wide variety of Cannabis to choose from for whichever purpose you need Cannabis. The two main groups are Indica and Sativa, and within each group or genus, there are a whole lot of varieties or strains. 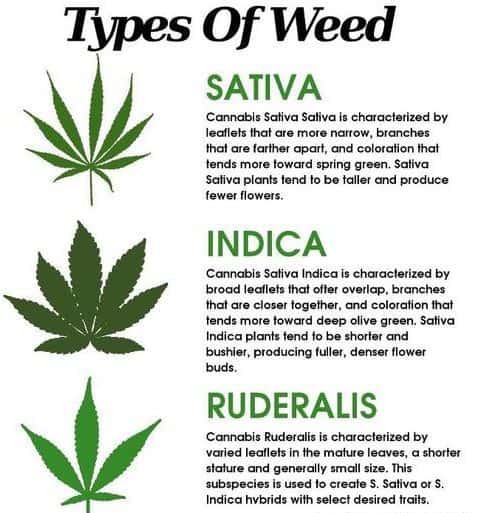 In order to choose the right variety for your specific purpose or condition it is important that you know what the Cannabis Indica Sativa Difference between the two groups of Cannabis plant are. The distinction between the two groups or classes of Cannabis plants have already been made in the 18th century, whereas the development of hybrids only began much later. Indica strains have probably originated in the Kush region of Afghanistan, which is why they have developed thick resinous coats to protect them against the harsher climates of the region, while Sativa strains thrive in regions closer to the equator. Indica strains are short and bushy, suitable to grow indoors, while Sativa strains are long and thin, suitable to grow in open fields. Indica strains thrive in regions between 30 and 50 degrees latitude, while Sativa strains thrive in regions between 0 and 30 degrees latitude. Phenotypes of Cannabis Indica tend to be sedating, relaxing and affecting the whole body, while Sativa strains are uplifting and energizing, and seems to be cerebrally focused. Indica will relieve pain, muscle spasms, insomnia and anxiety, while Sativa will relieve depression, fatigue, mood disorders and attention deficit disorder. As seen in the above description, the two groups mainly are different from each other in the sense that Indica is a more sedating type of plant. What causes the typical “Stone” effect, whereas Sativa is more uplifting and causes a “high” when used. Indica does not cause this “high”. Indica is ideal for having a nightcap before you go to sleep at night, while Sativa commonly invigorates and energizes before a party or any similar activity. It was for this “high” that people began using Cannabis in the first place. Therefore Sativa strains are the most popular among users that use Cannabis for recreational purposes. While Sativa has a higher concentration of THC than CBD, Indica has a higher concentration of CBD than Sativa Phenotypes. THC is responsible for the “high” that made Cannabis a popular recreational drug. Sativa strains tend to take longer to mature from seed to harvest than Indica. The two types of Cannabis plant can be interbred in order to create hybrid strains. Each strain, whether Indica or Sativa, has different types of flavors and different effect on the mind and body of the user. Indica Cannabis plants have a tendency to grow short and wide, whereas Sativa Cannabis strains are known to grow tall and thin. Sativa strains can grow over 25 ft high. As mentioned, Indica has a relaxing effect on the user. The user will always feel calm and almost sleepy after using Indica Cannabis. Sativa, on the other hand causes a high that is uplifting and energizing. Indica is very effective for pain relief, anxiety and sleeping disorders and will effectively treat muscle spasms. Indica strains are commonly used by medical Marijuana patients right before bedtime in order to fall asleep more easily. The most popular Indica strains currently include Kush, Northern Lights and White Widow. Sativa can effectively treat depression, and is most often used during the daytime. It causes an energizing and uplifting high, and is commonly used by artists for inspiration. The most popular Sativa strains currently include Purple Haze and Mauwie Wauwie. The most common benefits of Indica Cannabis strains include pain relief, treating muscle pain and muscle spasms, relaxing muscles, reducing seizures, relieving headaches and migraines, relieving anxiety and stress. Indica is also effective against nausea. The most common benefits of Sativa Cannabis strains include general feelings of well-being. Uplifting thoughts, stimulating and energizing effects on the mind and body, increasing of focus and creativity, fighting of depression. The greatest difference between the two groups of Cannabis plant lies in the two main Cannabinoids contained within the plants. Besides Cannabinoids, Cannabis also contains substances called Terpenes. Terpenes are what give the plants their distinctive flavors. 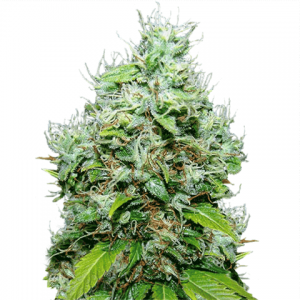 This contributes to the popularity of certain strains. And creates subtle differences between strains and from strain to strain within the entire genus of either Indica or Sativa. When considering to grow Cannabis, the beginner should consider the fact that Sativa grows into high crops. And will be clearly visible, so it should be grown in areas where Cannabis is legal. As it does not have much scope for stealth growing. Also if you want to breed for recreational purposes, Sativa is your best choice. Just be totally sure that the state where you want to grow does not have any laws in place that will get you arrested when the sheriff passes your house and spots your crops. Sativa strains are green, leafy, tall and thin and will probably take up a lot of space. These strains are highly suitable for outdoor gardens. So the new grower needs to be sure that they will not receive an official visit from the local sheriff as soon as their crops are nicely set in the blooming stage. New Sativa Hybrids are less smaller and are actually breed for indoor cultivation. Within our huge collection of Cannabis Strains, there are a lot of Sativa Phenotypes for Indoor Cultivation as well. Similarly, when the new beginner does not live in a state here Cannabis is legal, and does not have a lot of space, then Indica might be the best choice and the best way to go. Indica plants are bushy and short, and perfect for indoor gardens. They are a great sedative and tend to relax the whole body. They will fare best in areas between 30 and 50 degrees latitude. If you should at any time consider to go the Cannabis route, feel free to return to our website as often as you like, and browse as much as you want. As always, browsing is completely free.